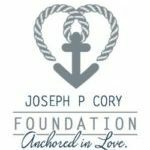 JPC Founder Nada Cory, one of our Lighthouse Women, recently let us know about the launch of upgrades to their website that highlight the Foundation’s Ambassadors including AquaNew/Watt-Ahh. The Foundation also posted on its home page, one of our recent articles on blood and circulation. The Foundation, based on the East Coast of Florida, hosts health expos as well as sponsors organic food gardens throughout the year. The Board members and its Ambassadors represent a consortium of experts. Nada also informed us that the Foundation is in the process of building and expanding its Consortium of Health and Wellness including information on quality products and services offered by the Foundation’s affiliates. Thank you, Nada and the Foundation, for including AquaNew as one of its Ambassadors and for us being part of your “lighthouse” mission to guide others toward healthier lives.